Is this any way to celebrate Mother's Day? 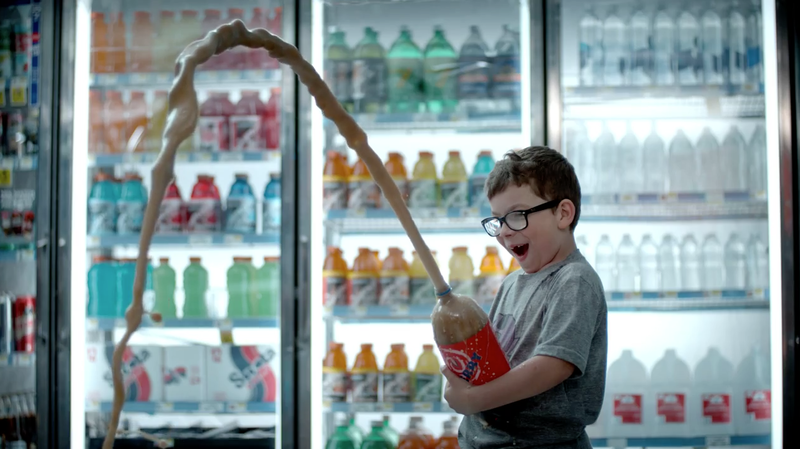 A trio of unholy terrors—pre-pubescent boys, presumably brothers—wreak havoc in a gas-station convenience store in "Mom," an amusing Volkswagen spot from Deutsch L.A. These little rowdies like their carbonated beverages shaken, not stirred, and heavy on the Cheese Whiz, please! (Teach that chili dog a lesson!) Their acts of impish mayhem are captured in glorious Sam Peckinpah-style slow motion as the Willie Nelson-Waylon Jennings version of "Mammas Don't Let Your Babies Grow Up to Be Cowboys" plays in the background. The clerk looks horrified. Guess he doesn't like that song. While all this is going on, Mom is outside, filling up at the pump. Too bad she doesn't drive a 2015 VW Passat Clean Diesel. It gets "up to 814 highway miles per tank," so you can "stop less, go more." If you ask me, the store got off easy. The Golden Sisters and Stinky would've burned that mother down. Track: "Mammas Don't Let Your Babies Grow Up to Be Cowboys"